In iOS 12, Siri can perform multiple actions at once with phrases you choose. Leading up to WWDC, the one thing that virtually all of us wanted to see was some kind of major improvement to Siri. Fortunately, we'll get one in iOS 12 in the form of Shortcuts. 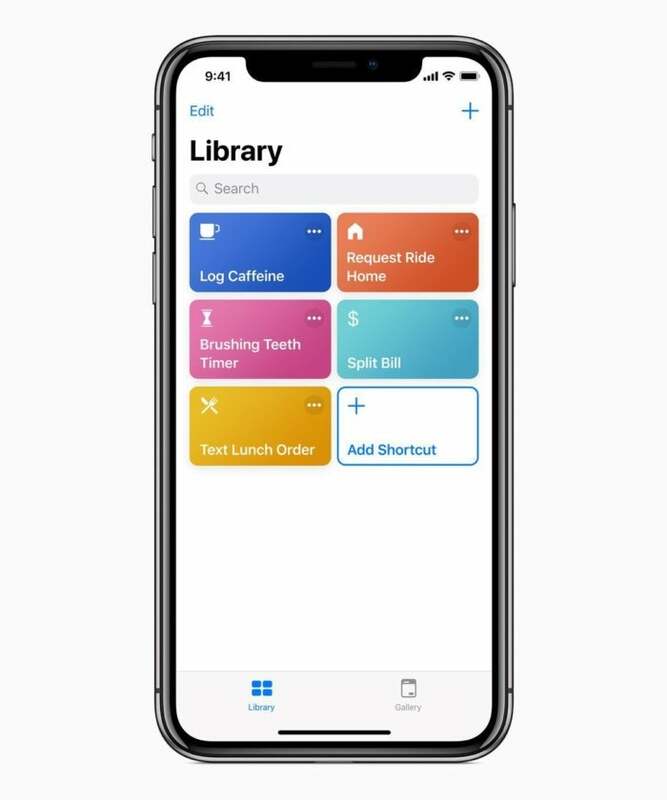 Essentially, the Shortcuts app lets you program single or multiple actions on your Apple device with a single Siri command, and if it works as well it sounds, it could make Siri much more useful for specific circumstances and activities. In essence, it virtually ensures that Siri does exactly what you want her to do. It also represents the full integration of Workflow into iOS following Apple’s acquisition of the automation service last year. 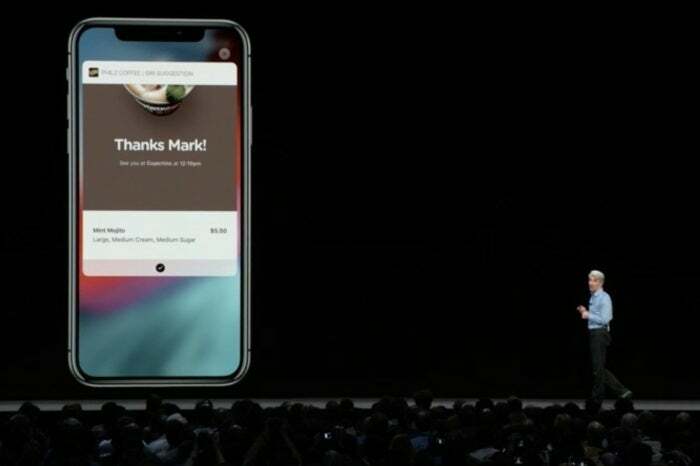 Apple showed a variety of uses for the new accompanying Shortcuts app, with the one of the simplest involving saying “I lost my keys,” which then switches on your Tile Bluetooth tracker so you can more easily find your keys with your phone. The Siri Shortcuts app interface. Instead of verbally fumbling around for the right phrase to get Siri to do these things, you can now program these actions through the Shortcuts app itself. It’s packed with hundreds of different pre-set and customizable downloadable Shortcuts. One called “Heading Home,” for example, lets you set your thermostat to 70 degrees while you’re on your homeward-bound commute while also informing you how long it will take to actually get home. Beyond that, you can program Heading Home to play either a podcast or a radio station on the way back to your place. Related improvements include new Suggestions for Siri. With iOS 12, Siri can ask if you want to send a message to your coworkers if you’re running late for a meeting, or it can remind you to turn your phone to Do Not Disturb if you’re sitting down to watch a movie. Some of these Shortcuts effectively amount to an advanced form of Reminders, as in the way Siri will remind you to call your grandma if her birthday’s coming up. At this point, the big question is whether Siri will actually be able to understand us when we ask her to do these things. Apple’s voice assistant is currently deficient in terms of voice recognition compared to its rivals from Google and Amazon. But, provided she does understand, the new Shortcuts app seems to ensure that we’ll get a much more personalized, proactive experience from Siri throughout the day. The Shortcuts app is a way to improve Siri’s usefulness without sacrificing Apple’s commitment to privacy. Rather than purposely digging through your data like some rivals do, Shortcuts allows you to choose which actions you want Siri to perform Unfortunately, that means Apple users will have to do a little more work than users of Google Assistant in order to get the most out of Siri for the moment, but on the bright side, Shortcuts nevertheless allows Siri to once again be a voice assistant that we don’t have to be ashamed of.